This article will guide you on how to disable proxy settings on Internet Explorer using Windows Vista. Double-click the Internet Explorer icon. On the Internet Explorer window, click on Tools, then click on Internet Options. 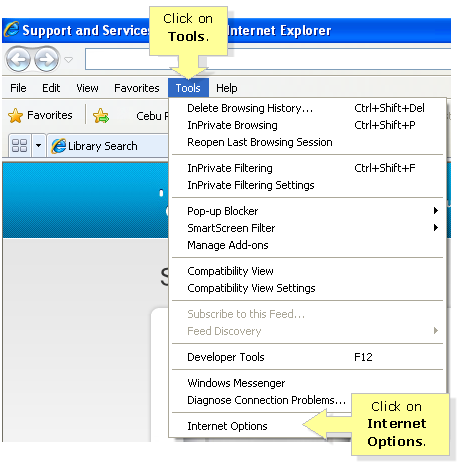 On the Internet Options window, click the Connections tab, then click on the LAN settings button. NOTE: Make sure that the boxes are unchecked.